It’s summer — the season of rest and relaxation. And a little bit of down time at work offers up an opportunity to review and update your LinkedIn profile, which is something you should be doing on a regular basis to keep your page active. 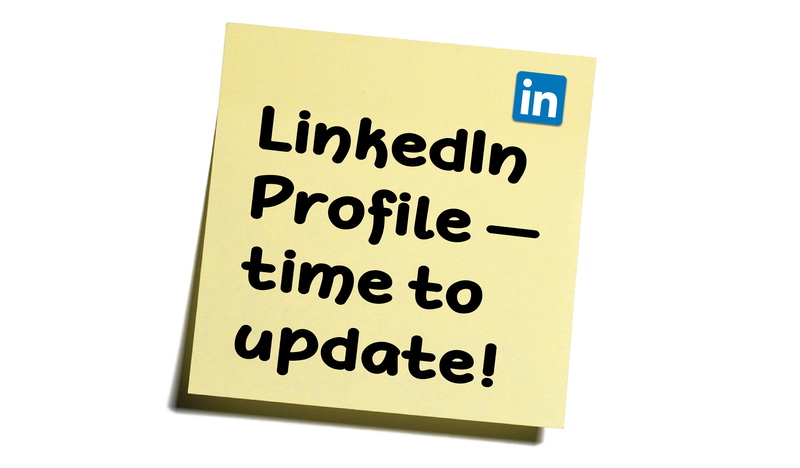 Key sections of your profile should be refreshed every quarter to keep your information up to date and useful to your intended audience. These seven steps will help you get you started. REVIEW THE PAST QUARTER. Make a list of changes to your role and review your professional accomplishments from the past quarter. (If it has been a while since you last updated your profile, you might need to go back a year or more.) What honors and awards have you received? Have you written articles or had articles written about you? Did you get fantastic results from one of your projects? Are you involved in any new volunteer organizations that you want to include? ADD NEW EXPERIENCE & ACCOMPLISHMENTS. Incorporate changes to your role in your current job description. A new board role can be added as a job in the Experience section — just drag and drop it below your primary job. Volunteer work can be included in the Volunteer section or under Organizations. Everything else should go in Accomplishments. UPDATE YOUR SKILLS. The Skills section is the easiest place to pack your profile with rich keywords. LinkedIn recently revised this section, splitting skills into categories. Take a look at how they organized yours and see if anything is missing. If you are planning a job search, check LinkedIn’s list of The Skills Companies Need Most in 2018. USE UPLOADS. New videos, PDFs, and images are an easy way to add depth and freshness to your profile. Want more speaking engagements? Upload a video clip from a recent keynote. Or upload client testimonial videos or a new case study. ADD CONTENT. This is probably the most overlooked avenue for updating your LinkedIn profile, and it’s an action that can bring major benefits. When someone looks at your profile, your latest blog post appears in the Activity section. Feature a current initiative with a quarterly blog post. If you are in hiring mode, blog about your company culture. If you are focused on lead gen, blog about the problem you solve or your traction. Consider whether you want your network notified before you start making changes. This can be a great way to get conversations started, but if you are making a lot of updates you won’t want everyone notified each time you save. We recommend turning off notifications until right before you make your last change. Then kick back, feet in the sand, and know that your profile will be working for you 24/7 while you enjoy the rest of the summer.